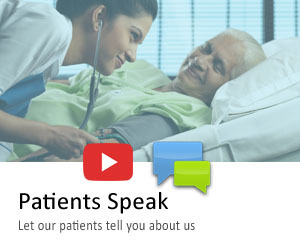 What does the Patient experience? The patient is awake throughout the procedure and does not require any anaesthesia as there is minimal discomfort during the procedure. 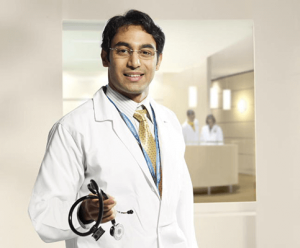 It is an out-patient procedure, where the patient walks in, undergoes preparation*, treatment, is observed for a couple of hours, and is able to walk out comfortably. She can return to normal activities the next day. As the procedure is done under MRI guidance, there is absolutely no radiation involved. The procedure time takes approximately 3 hours on an average, depending on the size and the number of fibroids. This includes the preparation time before the procedure. The patient experiences relief from her symptoms by the next menstrual cycle, and the treated fibroid gradually shrinks in size over the next few months. The success of the treatment is evaluated immediately after the treatment by performing a contrast enhanced MRI to delineate the ablated and the non-perfused volume. An example of the before and after scans of a patient treated at Apollo Hyderabad, India, is seen, where approximately 90% ablation has been achieved. The patient had a pain free procedure and walked out immediately after the procedure. She has reported excellent relief from her symptoms. As such, MRI guided HIFU satisfies the need for a non-invasive procedure that is a safe, gentle, and convenient way to provide long-lasting relief from the symptoms caused by uterine fibroids.